Manchester’s Rocky fantasy came to its end in as stupendous a fashion as this city’s have-a-go hero had come back from life-and-career threatening skull fracture to win his world lightweight championship. Antony Crolla was magnificent. Just not quite as magnificent as the best lightweight on the planet. 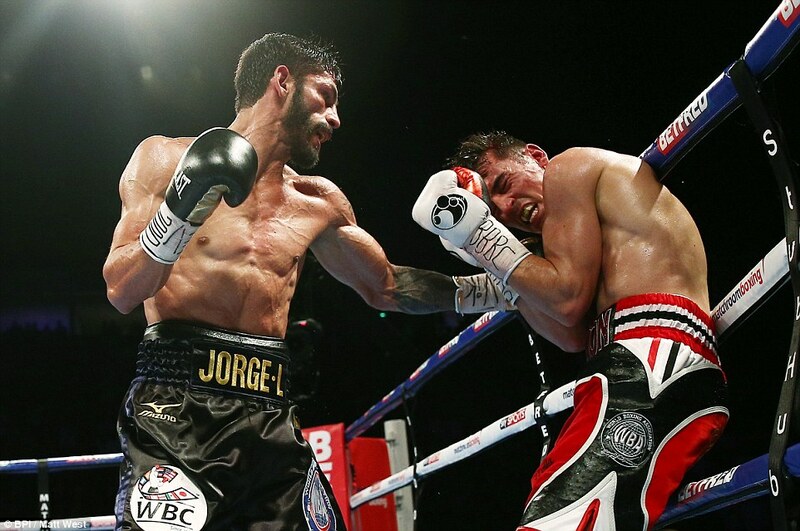 Jorge Linares came back from a year in the wilderness spent nursing his hand injury and being stripped of the third of the most recent of his world titles at three weights. An epic fight for Crolla’s WBA title, the Venezuelan’s WBC diamond belt and the vacant Ring championship ended in disappointment for the home crown but enormous credit for both fighters. 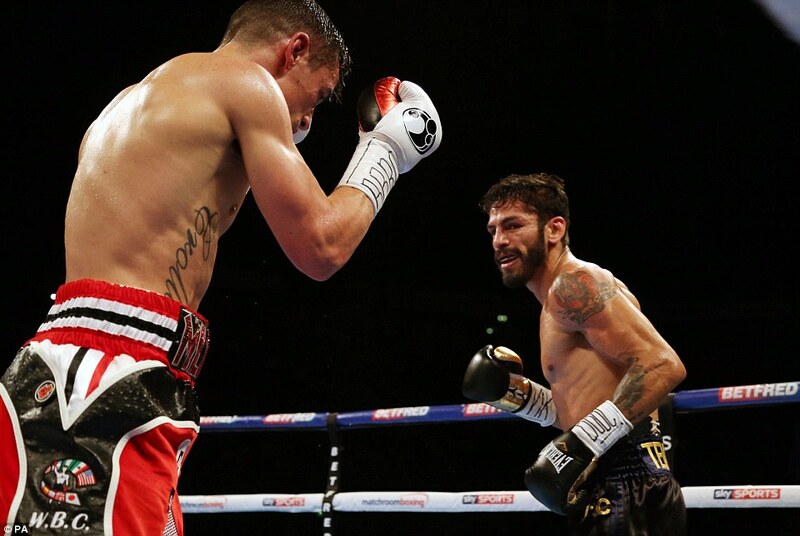 It was a agonisingly close call, much closer than one judge’s score of 117-111 in favour of Linares. 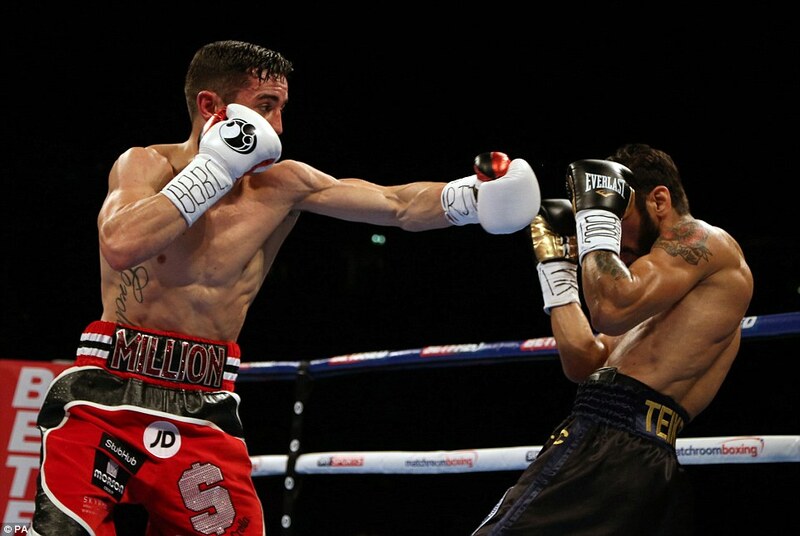 The other officials came up with margins off 115-113 and 115-114 which was acceptable, even to a disappointed Crolla. Surprisingly, Manchester did not turn out in full force for the boxer who has become a cult figure in the city since recovering from a skull fracture sustained when tackling burglar’s at a neighbour’s house. The Arena less than two-thirds full, having been re-configured down to 12,000 seats from its near 20,000 capacity. Nevertheless, those who did turn out generated roaring support for Crolla. 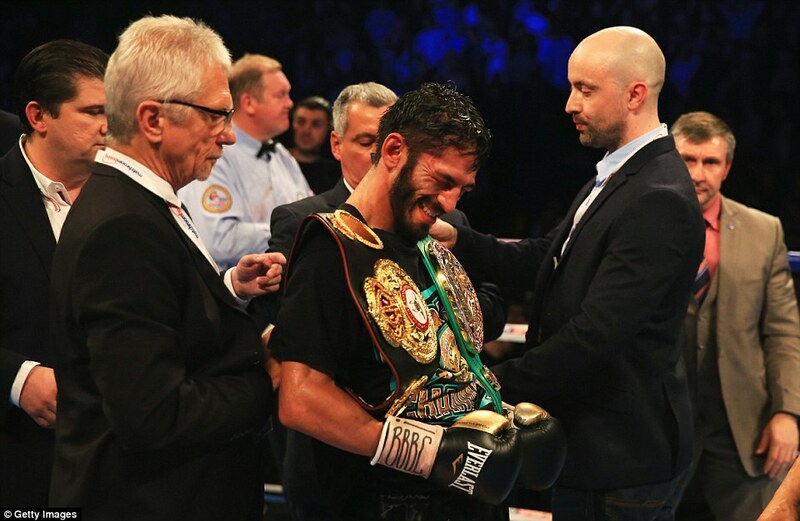 Linares, a former three-weight world champion many of whose bigger fights have taken place outside his native Venezuela and the US where he is promoted, had said he would relish such a fevered atmosphere. Both men described this as the biggest fight of their lives. 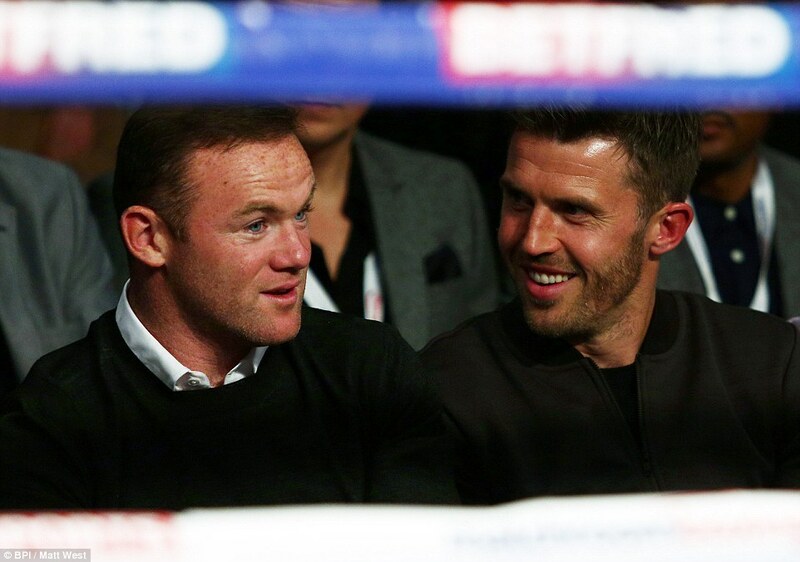 That was exactly how they fought the entire 12 rounds. The opening exchanges emphasised their respect for each other. Two of the Venezuelans three career defeats have been inflicted by early stoppages and although competitive from the first bell he took no risks. 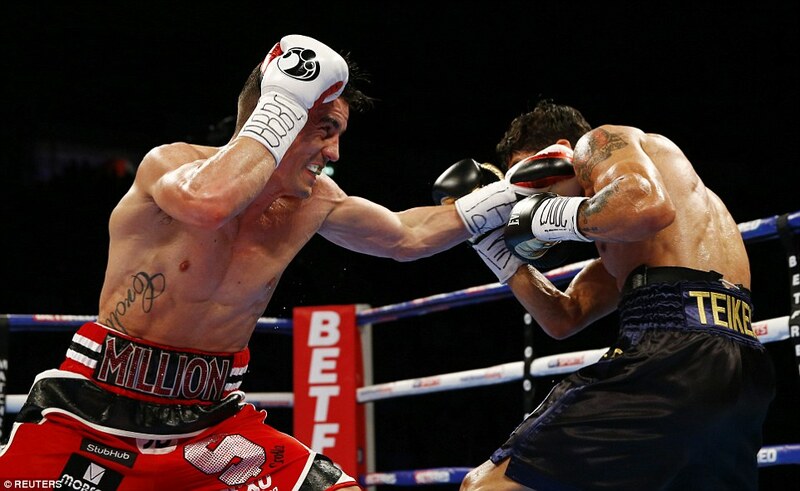 Crolla was the more aggressive but still taking care as he edged the first on my card. 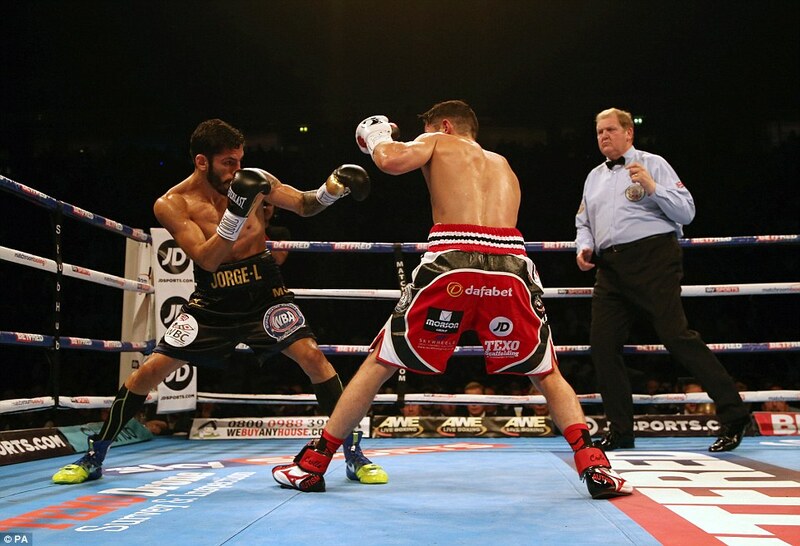 Linares changed up two gears in the second, going to work on the body to open up Crolla for combinaitons to the head. This was already threatening to be as tough a task as the champion had predicted. 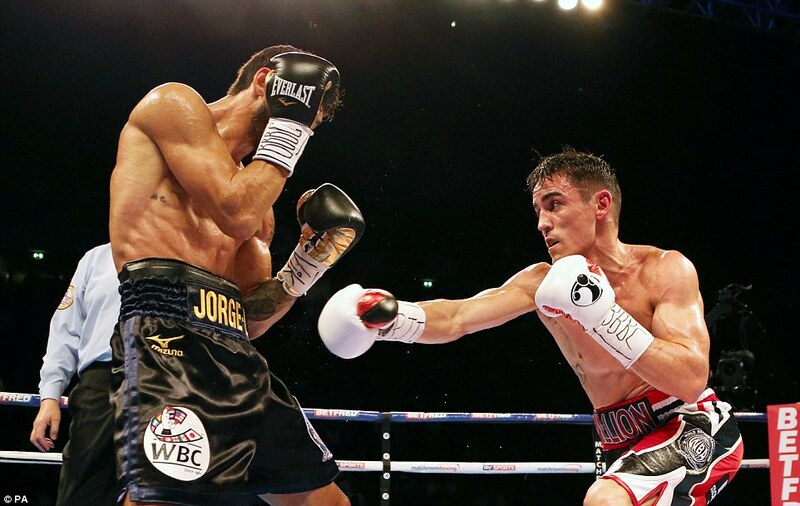 Crolla responded well in the third and roused the crowd with some sharp punches but was still running into round-winning combinations from Linares, who was warned for punching low. A second, sterner warning came from referee O’Connor. 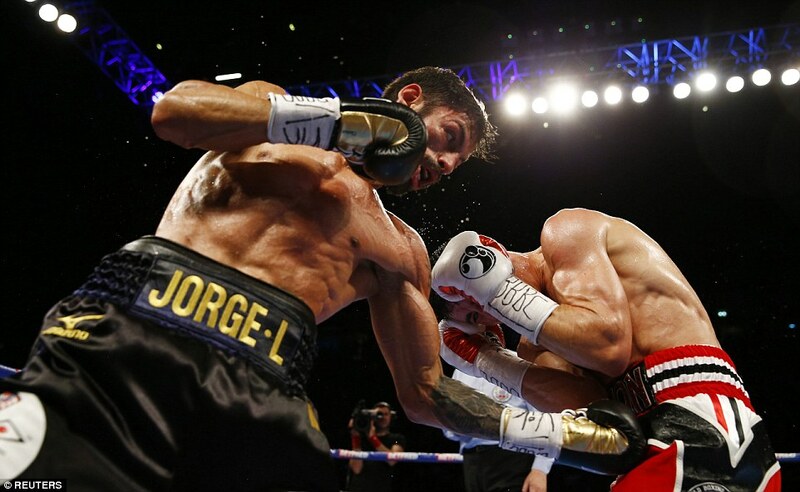 Then a third as Linares tried to stem the flow of Crrolla’s best round so far. 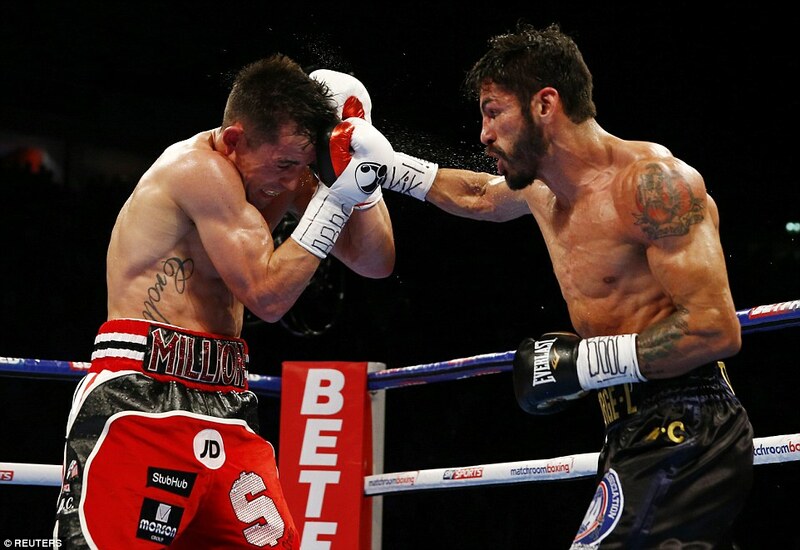 The talk of Linares having difficulty making the 9st 9lbs limit after a year out of the ring with hand injury seemed credible as his flurries of punches became less frequent in the fifth and Crolla edged anoher round. 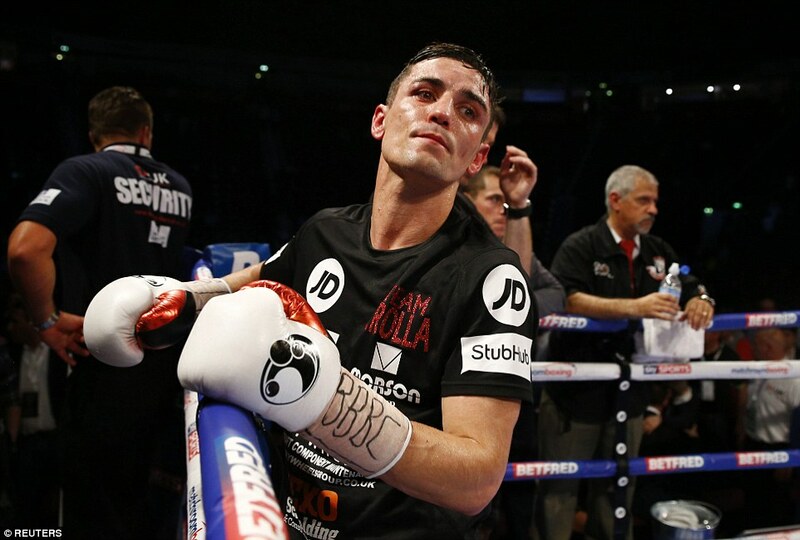 A barnstormer of a sixth saw Crolla looking as if he was taking command, until Linares staggered him with a vicious left and came close to putting him down. 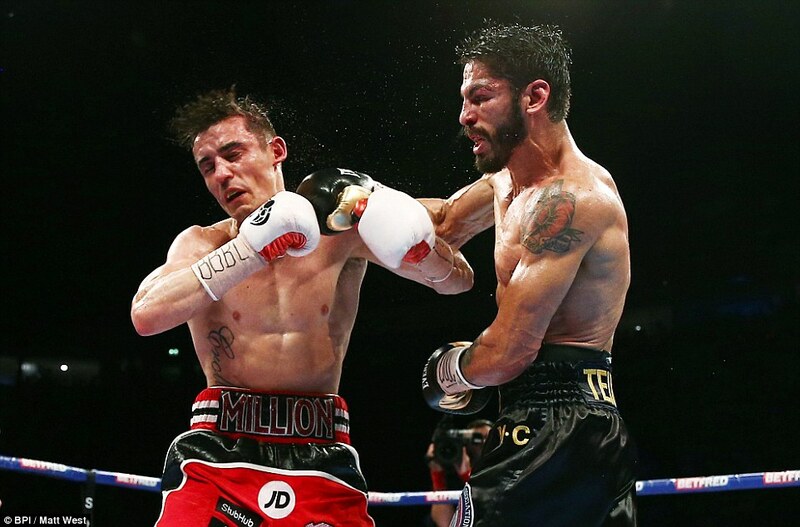 Linares was trying to break Crolla to the body but without success as yet as Million Dollar kept putting on the pressure behind his effective left jab. 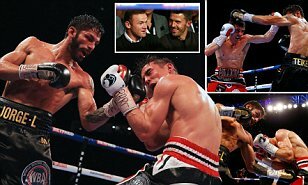 This was war and there was a suggestion that Crolla had fractured an ear-drum in the eighth as Linares went back to work. 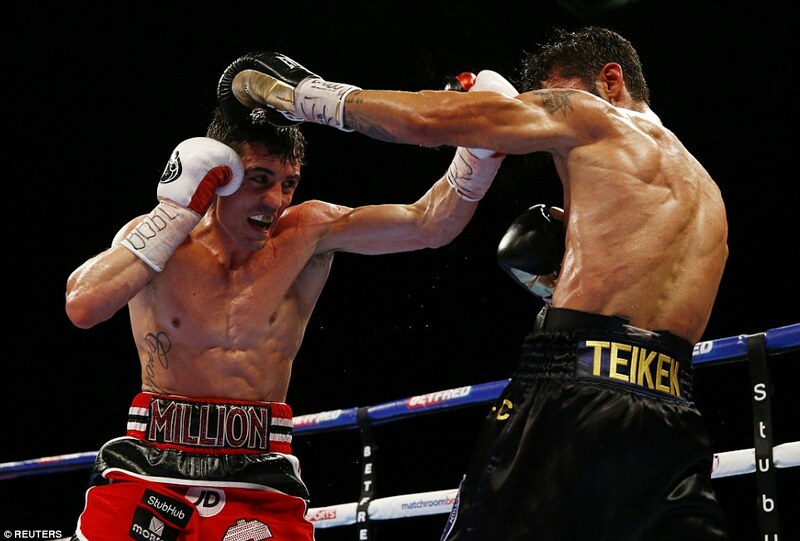 The fans were on their feet again as Crolla ploughed forward in the eighth but Linares was setting traps, beckoning him in and catching him with wicked counters. The pace slowed, inevitably, in the final quarter of the battle in which the rounds were getting closer and it was becoming more diffickult to separate two fine warriors. 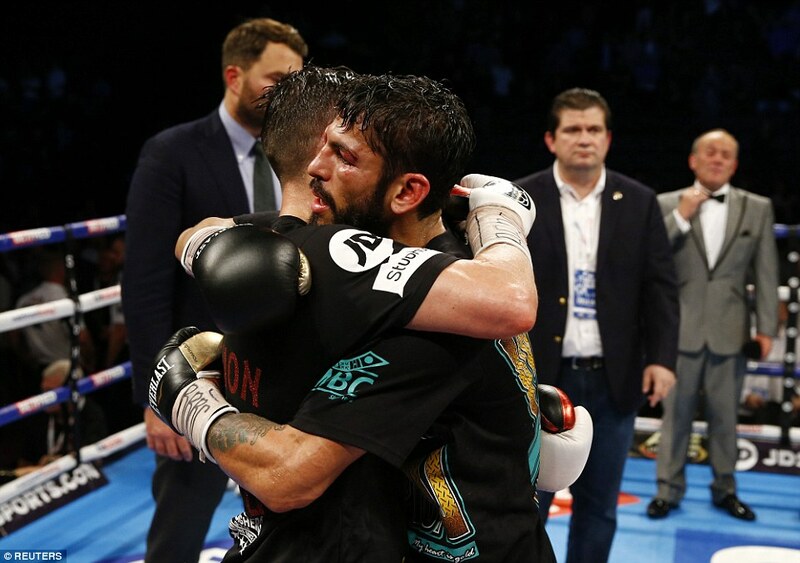 They embraced at the start of the final round, which Linares set about winning as possible clincher with an onslaught which had Crolla reeling on the ropes. A grandstand finish, with them slugging away toe-to-toe, ended with the pair falling into an embrace of honour as the house rose to its feet in cacophonous respect.